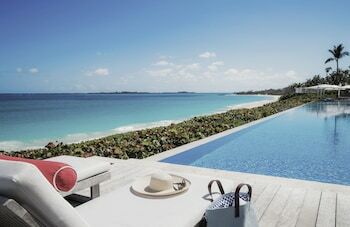 The Caribbean islands offer an amazing choice of beach vacations, high-end shopping and fascinating cultures. Stop in major ports on a luxury cruise or charter a sailboat to hop from one to another of thousands of islands. Sunbathe on vast sandy shores. Scuba and snorkel in clear waters filled with colorful fish. Beautiful beaches are common across the region, while art, architecture, cuisine and customs vary from island to island. Appreciate the pleasing mix of cultures of the indigenous island people and descendants of European settlers. Aruba, Bonaire and Curaçao off the coast of Venezuela display Dutch influence. Have rijstaffel, a Dutch colonial meal of rice accompanied by 20 to 30 side dishes. 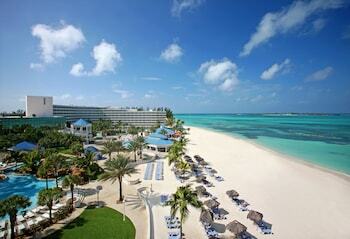 Aruba has an unusually dry terrain, with miles of sandy beaches on the northwestern shores. Look for divi divi trees blown to the side in the region’s strong winds. Bonaire’s marine park and donkey sanctuary feature a range of wildlife. On Curacao, swim with dolphins and participate in extreme sports. See the colorful buildings in old San Juan and the castles across the U.S. territory of Puerto Rico. St. Thomas of the U.S. Virgin Islands is a popular tour boat stop for buying diamonds and lazing on beaches. Nearby St. John is dominated by the Virgin Islands National Park, on land and in the underwater reefs. Learn about the 2,000 years of human occupants, including native Caribs, in the Salt River Bay National Historical Park on St. Croix. For many people, Cuba has for decades been a land of mystery under Communist rule. While U.S. residents are not allowed to visit strictly for tourism, licensed visits can be arranged for various purposes. While here, see the cathedrals, squares and museums of Old Havana and visit exceptional beaches. View the tropical plants in Hunte’s Gardens on Barbados. Dive and sample rum at a distillery on the Cayman Islands. Observe waterfalls and wildlife in the Dominican Republic. On the western side of the island, explore the Citadelle of Haiti. Golf, ride a bobsled and listen to steel drum music on Jamaica. Learn about Christopher Columbus and the native Arawaks while visiting the more than 700 islands of the Bahamas. Most important of all, enjoy beach after beach after beach in the Caribbean region. A popular cruise ship stop-off, this beach-fringed Dutch Caribbean island has a colorful colonial capital and ample opportunities for both lounging and adventure. Luxuriate at a beachfront resort as you play in the surf, dance to the rhythms of steel drums and soak up the local nightlife on these tropical islands. Tropical beaches, surf breaks, magnificent mountain landscapes and a friendly welcome await visitors to this island destination in the heart of the Caribbean Sea. In the azure waters of the Caribbean Sea lies this remarkable island with rainforest, rivers, reefs, beaches and a distinct laid-back vibe. Discover pristine beaches, explore caves and hiking trails, and immerse yourself in the relaxed local culture of this Caribbean island. 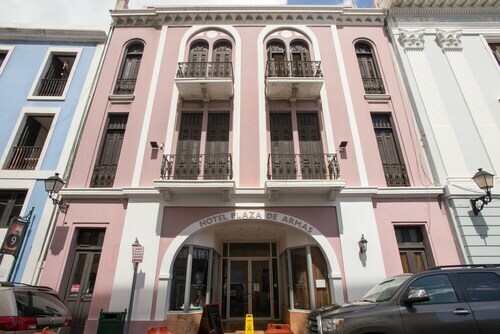 Located in San Juan Antiguo, this luxury hotel is steps away from Statue of Ponce de Leon, San Juan Gate and San Juan Cathedral. 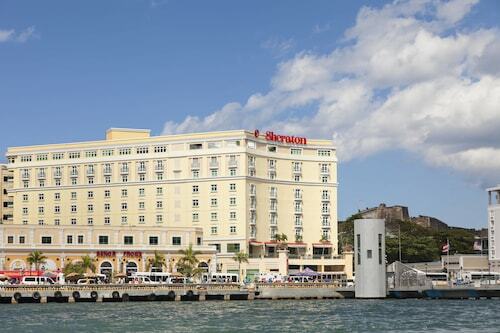 Port of San Juan and Castillo de San Cristobal are also within 15 minutes. 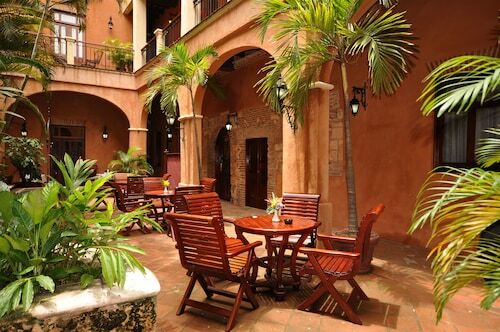 Located in San Juan Antiguo, this hotel is steps away from San Juan Cathedral and Paseo de la Princesa. La Fortaleza - Palacio de Santa Catalina and Plaza de Armas are also within 10 minutes. 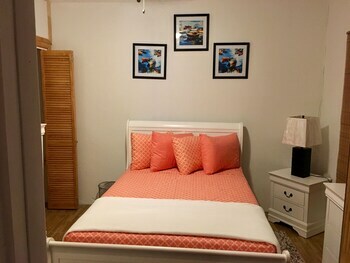 Located in Downtown Nassau, this beachfront hotel is in the city centre and within a 5-minute walk of Pompey Museum (Vendue House) and Straw Market. Junkanoo Beach and Queen's Staircase are also within 1 mile (2 km). 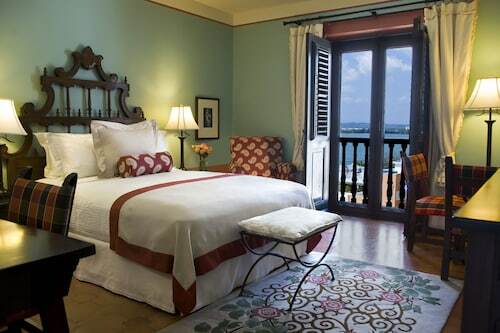 Located in San Juan Antiguo, this hotel is steps away from Pier 3, Port of San Juan and Teatro Tapia. Pier 4 and Pier 1 are also within 5 minutes. 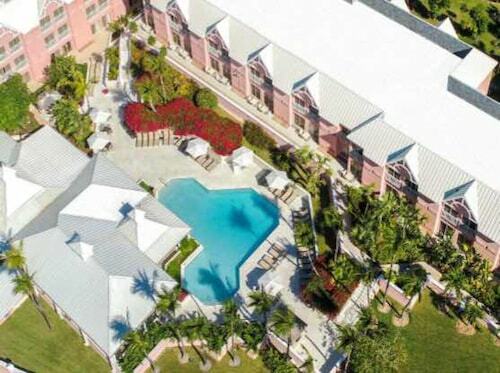 Located in Paradise Island, this beachfront resort is next to a golf course, 0.5 mi (0.8 km) from Cabbage Beach, and within 6 mi (10 km) of Junkanoo Beach and Paradise Island Golf Club. 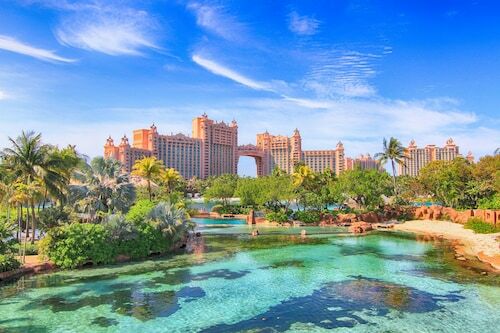 Ocean Club Golf Course and Nassau Botanical Gardens are also within 6 miles (10 km). 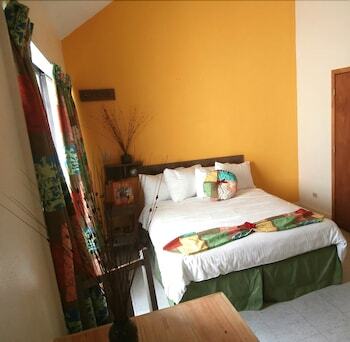 Located in Colonial Zone, this hotel is 0.1 mi (0.1 km) from Calle Las Damas and 1.5 mi (2.3 km) from Embassy of the United States Dominican Republic. Amber Museum and Parque Colon are also within 5 minutes. 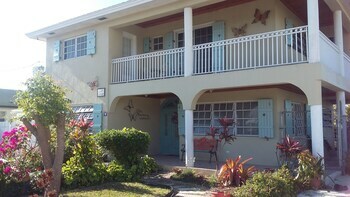 Situated near the beach, this hotel is within a 10-minute walk of Versailles Gardens and Cabbage Beach. 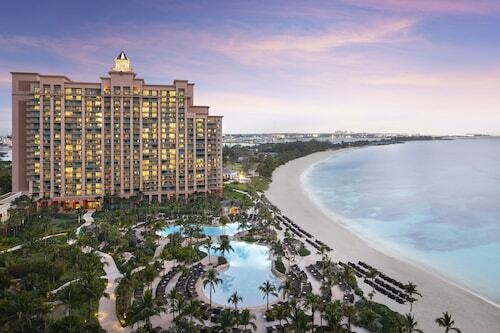 Paradise Island Golf Club and Ocean Club Golf Course are also within 1 mile (2 km). Located in Paradise Island, this beachfront resort is next to a golf course and within 1 mi (2 km) of Versailles Gardens and Cabbage Beach. 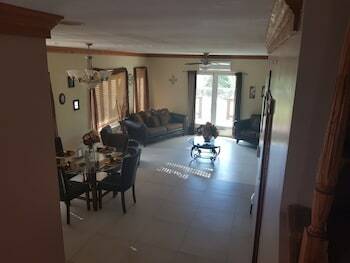 Paradise Island Golf Club and Ocean Club Golf Course are also within 2 miles (3 km). Dublin - Lynden Pindling Intl.